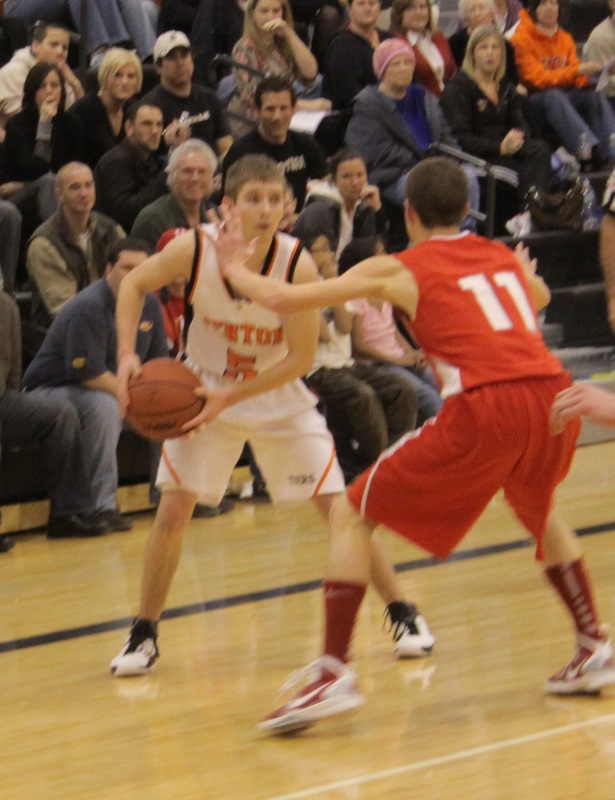 Senior Eric Mowery drives on sophomore James Richards in the first half Friday night. In case you missed it, Fenton pulled out an amazing come-from-behind win last night over rival Swartz Creek. The Tigers, down 24-4 in the second quarter thanks to some of the tightest team defense I’ve seen all season, still trailed by 15 at the half. Swartz Creek began to surrender their lead in the third quarter, but still had a cushion of seven points entering the fourth quarter. After their primary ballhandler, sophomore Max Cummings, fouled out early in the fourth, I think it was clear to anyone who has seen Swartz Creek play this season that the game was probably over. 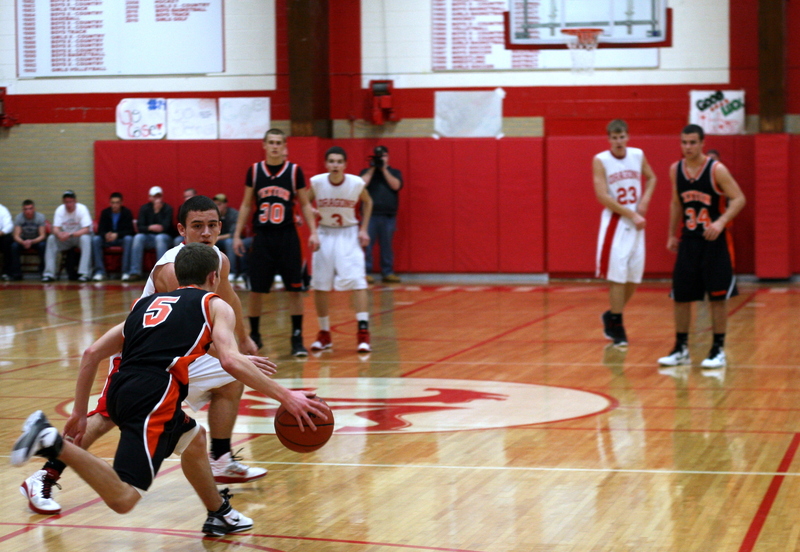 Eric Mowery had 15 points and 12 assists vs. Holly. FENTON, Michigan — The so-called basketball purists out there who lament the loss of pass-first point guard are not getting out to enough Fenton games. The Tigers are who we thought they were, and Swartz Creek didn’t let them off the hook. There wasn’t much on Monday’s slate of area basketball games, but the Fenton-Holly matchup seemed interesting. Fenton is once again off to an undefeated start in the Metro League, and really, Swartz Creek, Holly and maybe Kearsley are the only teams with legit shots at the league title, which was shared by Fenton and Swartz Creek last year.